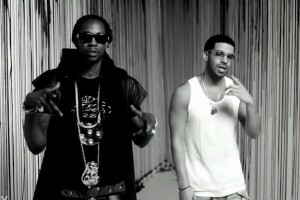 With the end of the spring and the beginning of a touring burning summer, 2 Chainz went to look for the talent of Director X who has been lately upgrading the world of music video with his production of the Drake video HYFR and now this 2 Chainz Featyring Drake video No Lie (no I won’t talk about Justin). Again It seems that the last to take drastic action in the world of music video was Kanye West with his master piece Runaway. “No Lie” will appear on 2 Chainz upcoming solo project, Based on a T.R.U. Story which is slated to release August 14 via Def Jam Records.